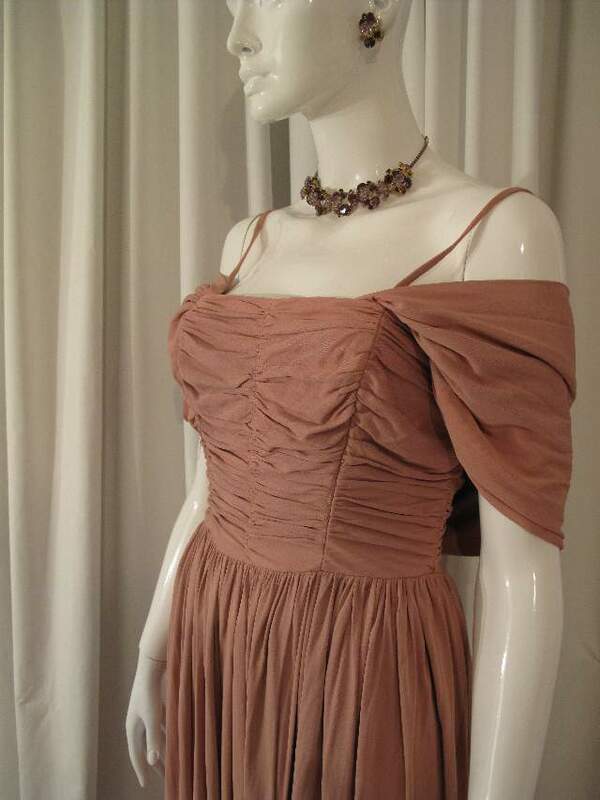 1940's Dusky pink 'sharkskin' nylon ruched vintage evening gown. 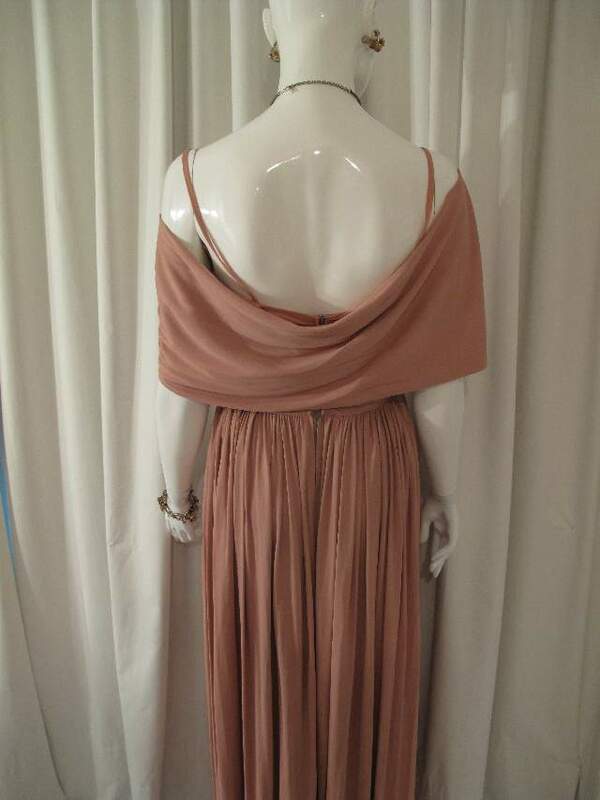 The subtle pink of this gown typifies the classic 1940's love of austere colours. The boned bodice has panels of ruching, another typical 40's theme, and has fine shoestring straps (can be worn strapless) with a deep draped, off the shoulder shawl detail. The skirt is full length and gathered from the waist. 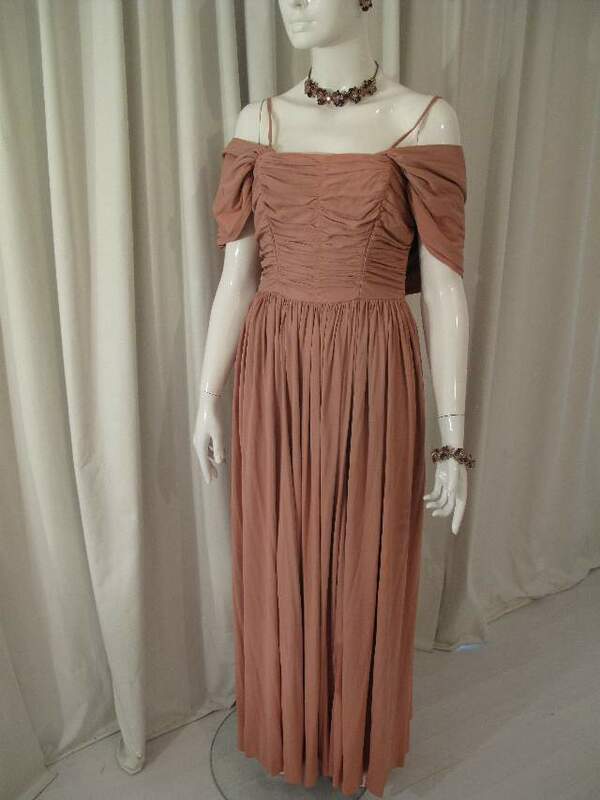 The gown is heavy, as the fabric is a nylon, popular at the time and known as 'sharkskin'. 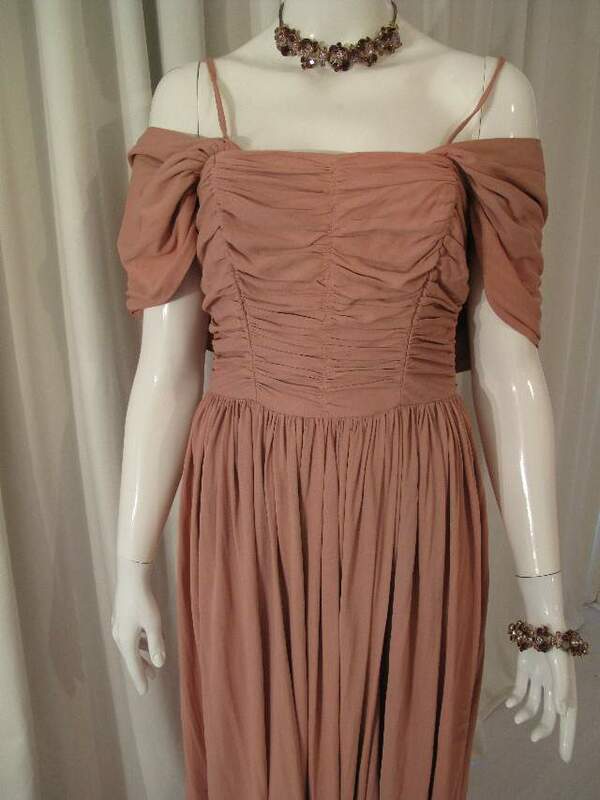 It is a lovely nostalgice dress, very Hollywood, very Rita Hayworth. 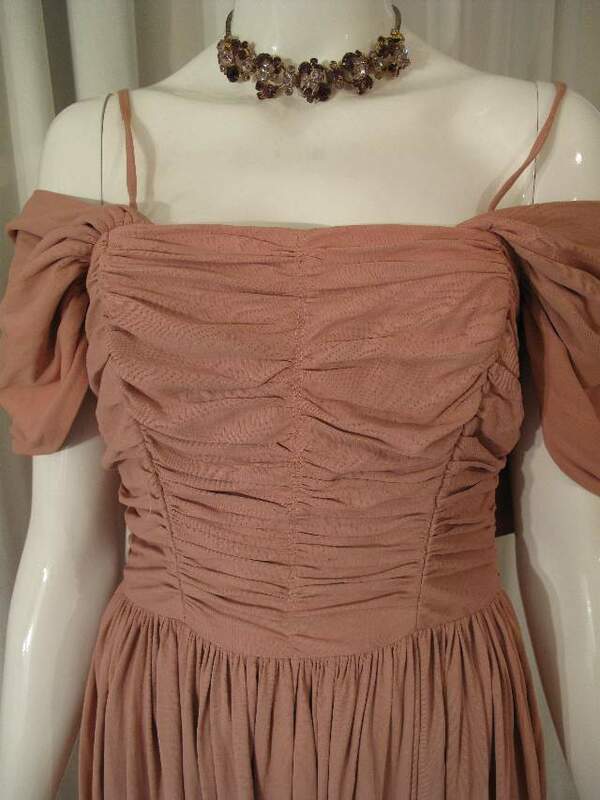 We have included it in this section, although we know nothing about the label, because it typifies vintage glamour.